We aim to ensure that each and every visit to Fairmont Nile City- Cairo is certain to be an experience that is memorable and utterly magnificent. Our hotel offers a range of dining options- world class spa and health club facilities- unique rooftop and ch ildren's pools- beauty salon- as well as other fine amenities. Nile River location. Nile City Mall with high-end shops and cinema as part of the Nile City complex. Art Deco and contemporary style combine to provide timeless elegance and sophistication- as reflected throughout our 540 guest rooms and suites. All guest rooms feature generous comfort and are complemented by stunning views of the city or the Nile River. L'Uliveto brings authentic local Italian ingredients in a symphony of flavors to satisfy all palates. The main restaurant offers a buffet breakfast, after which converts into a comfortable, inviting space for à la carte lunch and dinner as well as a bar. This lobby lounge outlet serves the purpose of dual functionality: Firstly as a venue for continental breakfast in the early morning and then as the outlet most renowned for the best Afternoon Tea in Cairo. Champagne Bar is a barman's bar first and foremost. With exacting attention-to-detail on artisanal ingredients, fine spirits and wine, this is a destination for those that know their drinks. 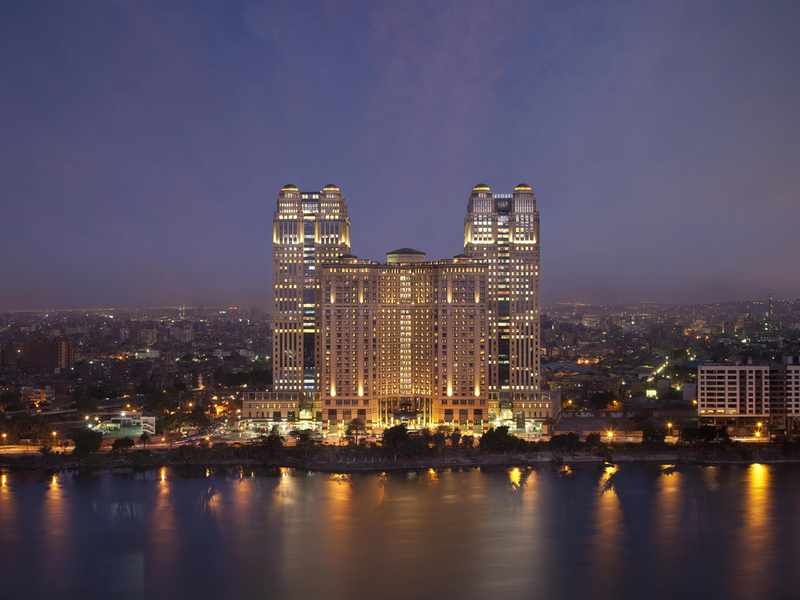 Located on the 25 floor, this pool area and restaurant is strategically situated so one can enjoy the skyline of Cairo, and the sun setting into the river Nile while relaxing poolside. The Sky Pool menu includes both hot and cold items. 호텔은 로비, 객실, 욕실 및 침구류등 전반적으로 깨끗하고 직원들 서비스도 만족스러웠습니다. 특히 방에서 Wi-Fi를 자유롭게 사용할 수 있어서 더욱 좋았습니다 단지 하나 아쉬운게 잇다면 객실에 따라 다르겠지만, 인접 빌딩이 너무 가까이에 있어서 창에 커튼을 친 상태에서 생활해야 했습니다. C. Kawngisk님께, Fairmont Nile City 이용 내역 설문조사에 참여해 주셔서 대단히 감사드립니다. 고객님으로부터 좋은 평가를 받는 것은 언제나 기분 좋은 일입니다. 고객님께서 제시해 주신 의견은 모든 팀원들과 공유될 것이며 이러한 의견은 지속적으로 높은 수준의 서비스를 제공하고자 노력하는 모든 임직원들의 사기를 북돋는 데 큰 버팀목이 될 것입니다. 고객님의 소감을 알려주셔서 다시 한번 감사드리며 향후 보다 나은 서비스로 만나 뵙기를 바라겠습니다. 감사합니다.